Shara Senderoff dreamed up Intern Sushi in 2005, when she was a college sophomore. Lacking the cash to launch a startup, she finished school and took a job in the film and TV world as assistant to mega-producer Mark Gordon. By 2010, Senderoff was developing feature films and web series for The Mark Gordon Co. But her idea for a website that would connect interns and employers still beckoned. In late 2010, she dusted off her old business plan and pitched her boss the idea. Gordon gave her the green light to develop the site internally, on his company's time, dime and payroll. The initial plan was for Senderoff to split her Intern Sushi and film-production duties 50-50. But by September 2011, she says, her site had become "a machine of its own." 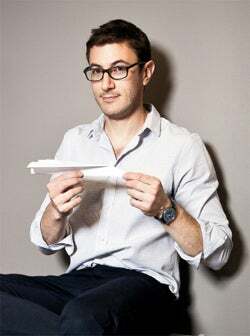 Senderoff left The Mark Gordon Co. to run Intern Sushi full time, and Gordon, who's billed as a co-founder (along with Senderoff and ad man Richard Gelb), became one of the startup's earliest investors, sinking six figures into the venture. Today 20,000 interns and 2,600 companies use Intern Sushi, which officially launched this fall and features 5,000 open positions in 11 industries. The company, which initially drew $800,000 in funding, is currently completing its second investment round. For Senderoff, having the support of a boss who believed in her was windfall enough. "I was fortunate to be a salaried employee before I took the big risk of being a startup," she says. "It's an incredible gift to be able to focus on getting your business off of the ground without having to worry about how you'll pay your rent." You don't have to work for a Hollywood mogul to sell your startup idea to your employer. More companies, in a variety of sectors, are recognizing that the key to competing in today's warp-speed marketplace is encouraging entrepreneurial thinking from within--otherwise known as "intrapreneurship." "We are in a time that's calling for a lot of innovation," says Gifford Pinchot, a Fortune 100 consultant who has written several books on intrapreneurship. "Companies that are supportive of entrepreneurship are in more of a position to thrive." That's why innovators like Google and 3M famously implemented policies to let employees spend a percentage of each week on their passion projects. It's also why consulting firms such as Ernst & Young and PwC have begun holding in-house entrepreneur contests. But it's not just a matter of quashing the competition. It's also about keeping employees happy. "Companies are kind of forced into it," says Dan Schawbel, founder of Gen Y consulting and research firm Millennial Branding, because "retention rates are terrible." A recent study commissioned by Schawbel's firm found that nearly one-third of employers look for entrepreneurial experience when recruiting entry-level candidates. "A decade ago that wouldn't have happened," he says. To use your employer's hunger for innovation to support your own projects, start with ideas that feed the company business model. "Those are the types of projects that are the easiest for anyone to talk about within the company and get funded," says Ikhlaq Sidhu, founder of the University of California, Berkeley's Fung Institute for Engineering Leadership, a fast-track entrepreneurial program for engineers. That's what Dr. Lisa Tseng did. In March 2011, while working as chief of staff for UnitedHealthcare's public programs, she pitched the insurance company's upper management on a way to make hearing aids--which often cost $6,000 to $8,000 per pair--more affordable. Because her idea fit with her employer's mission of improving healthcare, it was a slam-dunk. "We were told to move forward right after the presentation," says Tseng, who immediately became CEO of hi HealthInnovations, the startup she proposed. Today hi HealthInnovations sells high-tech hearing aids for a retail price of $749 per ear. Intrapreneur Michael Kestenbaum of Crowded Room. Researching the heck out of your idea is another must. 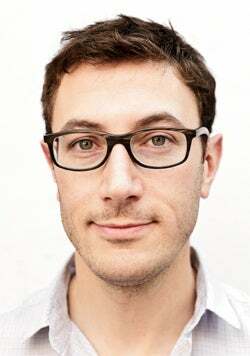 "Know your market really, really broadly and your consumers really, really narrowly," says Michael Kestenbaum, CEO of Crowded Room, a location-based mobile app that his employer, internet company IAC, funded and let him develop in 2010. "If you're creating a baseball app, know what the baseball fan looks like. Know how many times a year they go to the game. Know how they get to the game. What they eat when they're at the game. But at the same time, know the sports and live events market." Even if it's a long shot, your pitch needs to offer information with value. "If you're going to sit in a meeting with the CEO of your company, make sure they get something out of it," adds Kestenbaum, who was in mergers and acquisitions at IAC before running Crowded Room. They may shoot down your first idea, he says, but that's how you get invited to pitch again. Knowing what you'll say in your pitch is only half the battle, because how you say it is just as important. "The last thing you want to do is start with a super-detailed slide presentation to a CEO who doesn't like being presented to via PowerPoint," Kestenbaum says. Senderoff agrees. When she proposed Intern Sushi to her time-strapped boss, she knew the key would be getting to the point in the first 60 seconds--much like a Hollywood script pitch. Because Gordon is "a very visual guy," Senderoff relied heavily on charts and graphics to illustrate her business concept, market and revenue model, rather than plonking a 30- to 50-page business plan on his desk. It can be a balancing act to double as an entrepreneur and an employee. You want to pour your heart and soul into your baby and show management they were right to invest in you; at the same time, you have to do your day job justice. Jamie Pritscher knows this juggle all too well. In 2009 she convinced her employer, Chicago-area business caterer Tasty Catering, to expand its modest corporate gifts division into a full-blown e-commerce company, with her at the helm. The result was That's Caring, which sells environmentally friendly gift baskets. Pritscher received $50,000 in seed money from her bosses, along with their blessing to work on That's Caring during business hours if needed, as long as she could keep up with her duties as Tasty Catering's full-time logistics director. That fall and winter involved a lot of scrambling. During the holiday season, when That's Caring does 75 percent of its business, Pritscher regularly pulled 80-hour workweeks. "Your first year in business, you're not really sure what to expect," she says. "People wait last-minute to order. And I wasn't used to that. The second year was much easier." On the plus side, birthing a startup as an employee means that good mentors are in the cubicle next door. Having the ear of Tasty Catering's sales team and executives was a boon for Pritscher, who'd never run her own operation before. "Being able to walk up to the desk of someone who has been in business for 40 years and talk out business problems and walk away with a solution in 20 minutes instead of trying to figure it out on your own--it's priceless," says Pritscher, who left her gig as logistics director in 2010, when That's Caring began making enough money to pay her salary. Free access to on-site support services is another bonus of intrapreneurship, says Michael Paladino, director of technology activation at Rockfish, a digital agency based in Rogers, Ark. "We don't have to worry about some of the infrastructure that startups do," explains Paladino, who as a newly hired web developer in 2009 spearheaded Rockfish's development of TidyTweet, a Twitter application that filters out spam. "We have billing in place. We have hosting in place. I have access to our legal team. I have access to our creative team." For the risk-averse or cash-strapped, having an employer incubate your startup can be a happy medium. No, you won't fully own your creation, but you won't have to fork up the seed money, either. Pete Balistreri was all too happy to make this trade-off. An executive chef at the San Diego location of Tender Greens, a California restaurant chain specializing in sustainable food, Balistreri taught himself to make cured meats on the job. Soon the menu began featuring his salumi, and his bosses invested in a $5,000 professional curing chamber. This August, with the help of Tender Greens' owners, Balistreri launched his own line of packaged meats, P. Balistreri Salumi, which the restaurant will sell in its seven locations. Plans include distribution to other eateries and artisan food retailers. The company is a partnership between Balistreri and Tender Greens' three owners, who footed all the startup costs. "It's a big deal for me to have made a 35-pound batch of salami and then to see a 500-pound batch of it made," Balistreri says. "I would never have been able to make this product and sell it on my own." But your intrapreneurial efforts don't need to result in an eponymous product label, swanky new title or co-ownership to give your career a boost. Just pitching and attempting to start a new venture will earn you a reputation as a trailblazer, says innovation consultant Pinchot. "And in companies where that's important, innovators move ahead of their peers," he says. What if, despite your best efforts, your baby falls flat on its face? If nothing else, it's a learning experience, for you and your employer, says Crowded Room's Kestenbaum. "The knowledge that you're going to gain is tremendous," he says. "Getting to know a market, getting to know consumers, getting to know technologies--that stuff is valuable regardless of whether your startup succeeds." Intern Sushi's Senderoff concurs: "The experience that I've gained from taking a company that was just me to 25 employees--I would pay to have that experience." Want the keys to the entrepreneurial kingdom at work? Start laying the groundwork now. Earn your boss's trust. Before you polish your pitch, make sure your rapport with your manager is up to snuff. If your boss doesn't have faith in your work, judgment or time-management skills, he or she is not going to let you launch a new product, service or company division. Broaden your skill set. Don't know diddly about marketing? Never met a spreadsheet you could decipher? As an employee, you have an entire company of people, projects and training resources at your fingertips. Use them to shine light on as many blind spots as you can. Stay aboveboard. Going rogue is a bad idea, says Ikhlaq Sidhu, who teaches entrepreneurship to engineers at UC Berkeley. "You don't want to do anything that your boss might be completely surprised about," he says. Instead, win your manager's support for your idea early on. You'll get further with him or her on your side. Build stakeholder support over time. Take the time to amass a network of influencers who are as invested in your idea as you are, Sidhu says. The more customers, partners, co-workers and managers you have onboard, the more likely you'll be to get your idea funded.